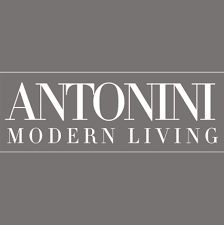 Antonini Modern Living - Antonini Modern Living is a designer furniture retail brand, with three locations in Florida, including the Design District in Miami, Dania Beach and our newly opened showroom in Boca Raton. Specializing in fine contemporary furnishings with European styling, Antonini offers an array of sleek collections for every room of your home; fashioned from the finest leather, glass, and stainless steel. With an increasing interest in modern designer furniture, Antonini Modern Living has positioned itself as a leader in the retail industry for those interested in the latest designs of unique and modern furniture. We’ve curated collections featuring the most innovative designs and elegant pieces that are sure to look exquisite in your home. Antonini Modern Living is proud to be at the forefront of South Florida’s leading designer furniture stores, showcasing more exciting inventory than ever with their expansion to Boca Raton.